The HTC One and Sony Xperia Z are the pride and joy of their respective manufacturers. In the videos dedicated to their design stories you can clearly see how passionate the teams are about their products. Fittingly, the Xperia Z and HTC One are two of the best looking handsets on the market right now. HTC went with a gorgeous (but sadly hard to manufacture) aluminum unibody and made the phone it wanted, instead of chasing the current trend of 5" screens and large resolution cameras. 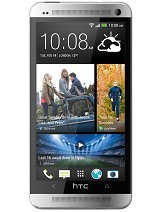 The One may miss on some standard equipment like notification area toggles but is loaded with features exclusive to HTC. It also was the first premium flagship to give up on the megapixel race and look for innovation in another direction. The One is the rebel of this generation Android flagships, if you will. Sony picked glass for the exterior of its phone and packed it with specs to match the other flagships and topped them off with some Sony exclusives. The IP57 certification is unique among the current crop of mainstream flagships. An absolute victory is impossible to award in a hotly contested fight like this, but once you've figured out your priorities you will immediately understand which of these beasts is right for you. 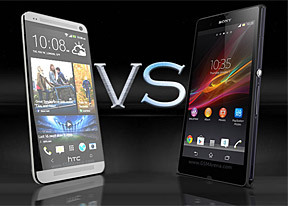 The HTC takes a narrow win in the design round and was even able to overcome its size disadvantage and take the screen battle. It also narrowly bested its opponent in the battery life and the audio reproduction tests. On the software side, we're not in love with Sense but the HTC One brought more value added features than the Xperia Z (Zoe in particular is a real gem), plus its chipset is slightly faster. The One also scored easy wins in the video recording and low-light trials. The IP57 certification of the Sony Xperia Z is a victory in its own right and Sony even managed to keep the microSD card slot, even though it's one more thing that had to be water-proofed. We liked the user interface, an enhanced stock Android better, too. Then there's the still camera which does notably better in good light and is one software update away from wiping the floor with its rival. You shouldn't also forget that the Sony Xperia Z has a major advantage in terms of availability - it's been on sale for a while now and some people have already bought one. Meanwhile, HTC had troubles getting the One to stores on schedule, which surely cost it some sales. 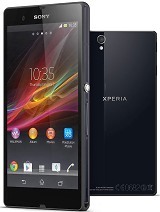 Furthermore, by the time the One reaches most major markets the Xperia Z will probably have undergone it's first price cut, giving it another advantage. But as we said sales are not always a good gauge of which phone is better. It's what each of them can do for you that counts and while these two may differ in character, they both put quite a lot on the table.